This exciting tour will take you to the scenic world of the national resort Phang Nga Bay. You will travel by canoe along the amazing landscape and enter the beautiful lagoons through the wonderful caves. 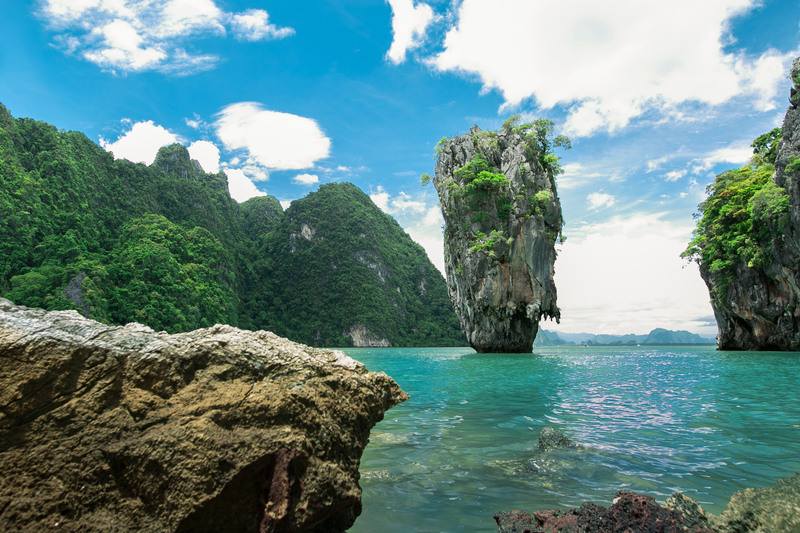 Explore caves by canoe and visit the famous island Koh Tapu, better known as “James Bond Island”. Parts of the movie “The man with the golden gun” have been filmed here. 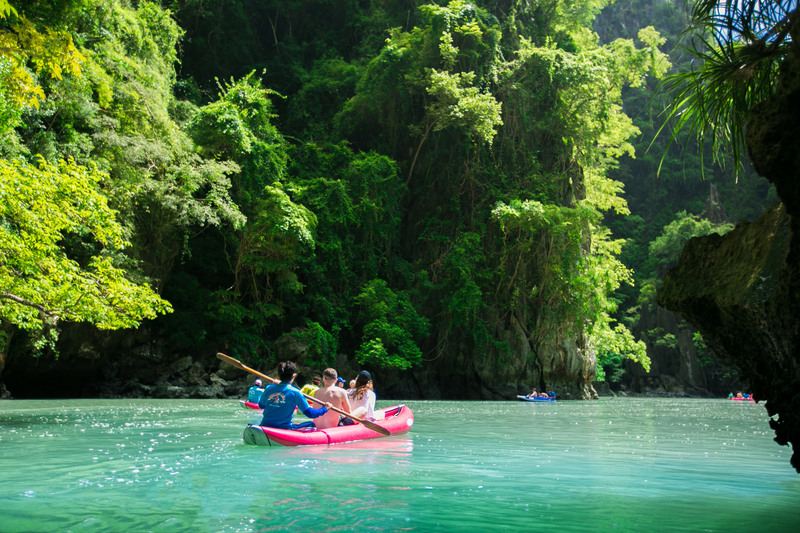 Out there, deep in the impressive, untouched nature of Phang Nga Bay, we offer you unforgettable excursions in Phuket. Sea Cave Canoe, an impressive tour for the whole family, which gives you a wunderful day full of new experience at Phang Nga Bay. We go by ship to beautiful landscapes and give you the possiblity to discover the lagoons and caves in this national resort. We have three different tours, which you can book. The Sea Cave Canoe, the James Bond Island and the Sunset Dinner Tour. On all trips is a delicate buffet, create from a team of cooks, which are schooled from a five stars cook and different drinks inclusive. All our tours include insurance, National Park fee, life jacket on board and the transfer from/to your hotel. Laem Sai pier is the place, where we depart for our tours. Our tour leaders are experienced, service-minded and will take good care of you. All our guides are english speaking. Our air-conditioned minivans pick you up at the hotel or your house and take you to the pier. At the end of the tour they will bring you back.